The Memorial Candle Program has been designed to help offset the costs associated with the hosting this Tribute Website in perpetuity. Through the lighting of a memorial candle, your thoughtful gesture will be recorded in the Book of Memories and the proceeds will go directly towards helping ensure that the family and friends of Martha Smith can continue to memorialize, re-visit, interact with each other and enhance this tribute for future generations. Martha Kieffer Smith died peacefully in her home, surrounded by her children, grandchildren, nieces, and nephews, on Saturday afternoon, November 10, 2018. In repose, she joins her dear husband Bud and her long-missed baby Paul. Jesus was her life-long comfort and is her Savior today. The last thing she would want is an effusive obituary, but she passed her rebellious streak onto her children, so here we are. She nurtured seven children, fifteen grandchildren, and six great-grandchildren. Godmother to more than a dozen friends and family, and spiritual mother to countless souls throughout her life, she exemplified how to apply belief in Christ to the world: Seek out the poor, the ill, the lonely, the refugee, and the prisoner and give them unconditional aid and love. Following a stint as a social worker in St. Louis, with her young family, Martha spent the greater part of the 1950s and ’60s working in Colombia, Ecuador, the Dominican Republic, and Honduras supporting communities in some of the poorest areas in the Western Hemisphere. Returning to the States full-time by the late ’60s, she graduated from nursing school, became an RN, and worked for a decade in the ER at County Hospital and the ICU at St. Mary’s. She then worked for the St. Louis Public School District as a school nurse at Beaumont High School and Scullin Middle School. Throughout all this she raised her family, at times as a single mom, helped her husband recover from a long crisis, and contributed deeply to the spiritual life of her parish, Annunciation. Martha was Regional Director of the St. Francis de Sales Society, a spiritual family of lay Catholics who live their lives grounded in the Gospel and according to Salesian principles. She served as a Eucharistic Minister, helped launch Operation Food Search, and worked continually to bring relief to the guests of many St. Louis shelters and hospitals. And Martha was an athlete! She won gold at the University City Triathlon for the 55+ set. 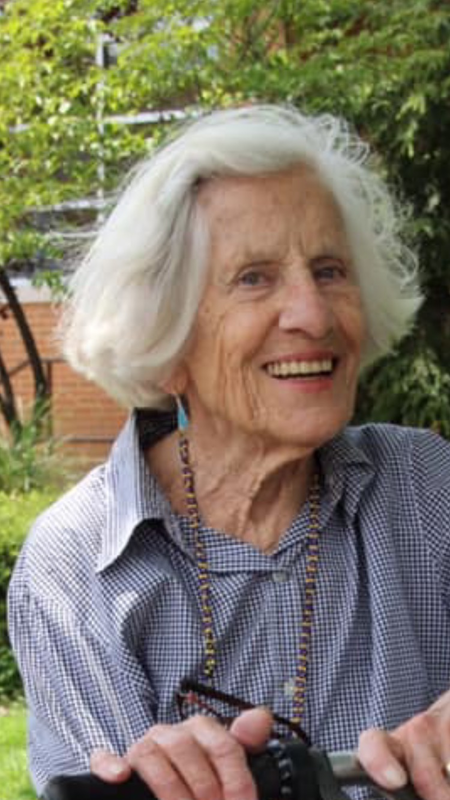 She played collegiate hockey and basketball and, as a Red Cross instructor and fixture at the Webster Groves pool, taught several generations how to swim, perform CPR, and be lifeguards. She bicycled, played tennis, skied, skated, swam, and canoed her entire life. She did all this with an infectious joy that inspired us all. A visitation will be held in her honor at 9am until memorial mass at 10AM on Friday, November 16, at Annunciation Catholic Church, 12 W Glendale Rd, Webster Groves, MO 63119. In lieu of flowers, please consider a donation to Karen House: http://newsite.karenhousecw.org/support-karen-house/make-a-donation.